Presenting the Newest "Hair Transplant Patients of the Month"
Several months ago, we started a new feature at our hair loss community: the Hair Transplant Patient of the Month. 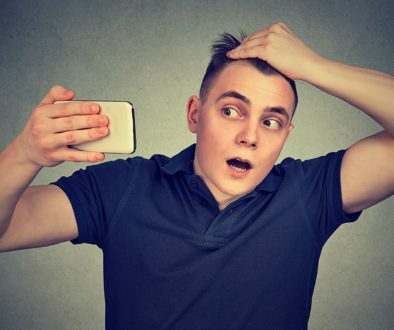 Each month, we review hair transplant cases posted by patients on our Hair Restoration Discussion Forums and select one particularly excellent result as our Hair Transplant Patient of the Month. First was 1978Matt, who underwent a 4,320 graft Follicular Unit Strip Surgery (FUSS) with Dr. Raymond Konior. In August of 2013, 1978Matt decided to finally “take the plunge” and underwent surgery with Dr. Konior. The doctor meticulously extracted and implanted (via the “stick and place method”) 4,320 grafts to rebuild Matt’s frontal and temporal hairline (including temporal triangles), frontal scalp, and midscalp, and the results are excellent. To review 1978Matt’s 6 month transformation, please see the following: 1978Matt’s 4,320 Graft FUSS with Dr. Konior. Next was Biz, who underwent a 3,200 graft Follicular Unit Strip Surgery (FUSS) with Dr. Steven Gabel. After years of trying to hide his scalp with hair replacement systems, Biz became tired of the continued maintenance and stress associated with wearing hair systems and decided to research surgical hair restoration. In February of 2013, Biz decided to proceed with Dr. Gabel and underwent a 3,200 graft FUSS to restore his hairline, frontal scalp, and mid scalp. Later, Biz shared an 11 month update of his results, and the transformation was impressive! To view Biz’s 11 month results, please see the following: Biz’s 3,200 Graft FUSS with Dr. Gabel. Next was Paulygon, who underwent a 2,710 graft Follicular Unit Strip Surgery (FUSS) with Dr. Parsa Mohebi. Paulygon first began to notice the signs of hair loss at age 16. He first accepted his androgenic alopecia at age 21, and by age 30 he finally decided to undergo hair transplantation. Paulygon found Dr. Mohebi and underwent a 2,710 graft strip procedure in October 2012. Paulygon later shared the 12 month results of his procedure on the forums, and his transformation was impressive! To review the 12 month results, please see the following: Paulygon’s 2,710 Graft FUSS with Dr. Mohebi. Next was HairyBoy5, who underwent a 4,018 graft Follicular Unit Strip Surgery (FUSS) procedure with Dr. Jean Devroye. After extensively reviewing his hair transplant results, HairyBoy5 decided to schedule a “strip” procedure with Dr. Devryone in May 2012. When the time came, HairyBoy5 underwent an 11 hour procedure with Dr. Devroye and staff, during which he received 4,018 grafts (the equivalent of 8,924 hairs). 17 months later, HairyBoy5 posted the final results of his hair transplant surgery, and his transformation was excellent! To view his images, please see the following: HairyBoy5’s 4,018 Graft FUSS with Dr. Devroye. Next was Cenkoa01, who underwent a 4,500 graft Follicular Unit Extraction (FUE) procedure with Dr. Hakan Doganay. Cenkoa01 first noticed his hair loss around age 20. After nearly a decade of worrying about the progressive shedding, he finally decided to seek surgical hair restoration with Dr. Doganay. Dr. Doganay utilized 4,500 grafts to rebuild Cenkoa01’s vertex, midscalp, frontal scalp, and hairline, and although the procedure was ambitious, Cenkoa01 recently shared a 7 month update and the results are impressive! To view his transformation, please see the following: Cenkoa01’s 4,500 Graft FUE with Dr. Doganay. Next was Keithh, who underwent a 3,624 graft strip procedure with Dr. H. Rahal. 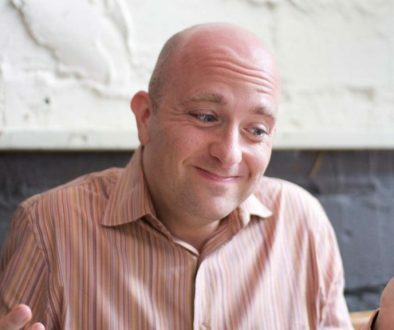 In 2011, Keithh grew tired of his hair loss and finally decided to treat it surgically. He chose to undergo surgery with Dr. Rahal, and on November 18th, 2011, he traveled to Ontario to undergo the procedure. Dr. Rahal extracted 3,624 grafts via the strip method and used these follicular unit grafts to rebuild Keithh’s hairline, frontal scalp, and partial midscalp. Keithh later updated the community with images taken 20 months after the procedure, and the results were excellent! To review his transformation, please see the following: Keithh’s 3,624 Graft FUSS with Dr. Rahal. Next was Spanker, who underwent a 2,110 graft strip procedure with Dr. Raymond Konior. 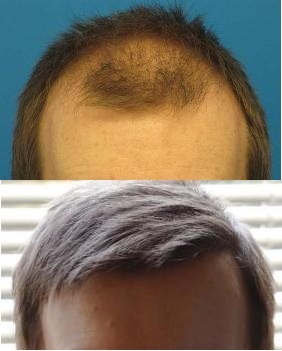 After two years of research, Spanker underwent hair transplant surgery with Dr. Konior on July 30th, 2012. According to Spanker, during the 10 hour procedure, Dr. Konior expertly restored his hairline and frontotemporal scalp with 2,110 follicular unit grafts. 12 months later, Spanker updated the community with his post-operative images and the results are fantastic! To view his images, please see the following: Spanker’s 2,110 Graft FUSS with Dr. Konior. Last was Redman, who underwent a 4,120 graft FUSS procedure with Dr. Victor Hasson. After 5 years of researching hair loss treatments, consulting with hair restoration physicians, and speaking with clinic representatives, Redman decided to finally “take the plunge” and scheduled a hair transplant procedure with Hasson & Wong in May 2012. Some time later, Redman updated the community with his 13 month results and his transformation was impressive! To view his results, please see the following: Redman’s 4,120 Graft FUSS with Dr. Hasson. Please join me in congratulating our most recent Hair Transplant Patients of the Month. Additionally, stay tuned for the next installment in the near future!